After nine months of confusion, chaos and cascading tweets, Donald Trump’s White House has finally made one thing crystal clear. The United States is staying in Afghanistan to fight and — so the administration insists — win. “The killers need to know they have nowhere to hide, that no place is beyond the reach of American might,” the president said in August 2017, trumpeting his virtual declaration of war on the Taliban. Overturning Barack Obama’s planned, and stalled, drawdown in Afghanistan, Secretary of Defense James Mattis announced that the Pentagon would send 4,000 more soldiers to fight there, bringing American troop strength to nearly 15,000. In October 2017, as that new mini-escalation was ramping up, the CIA leaked to The New York Times news of a complementary covert surge with lethal drone strikes and “highly experienced” Agency paramilitary teams being dispatched to “hunt and kill” Taliban guerrillas, both ordinary fighters and top officials. “This is unforgiving, relentless,” intoned CIA Director Mike Pompeo, promising a wave of extrajudicial killings reminiscent of the Agency’s notorious Phoenix Program during the Vietnam War. 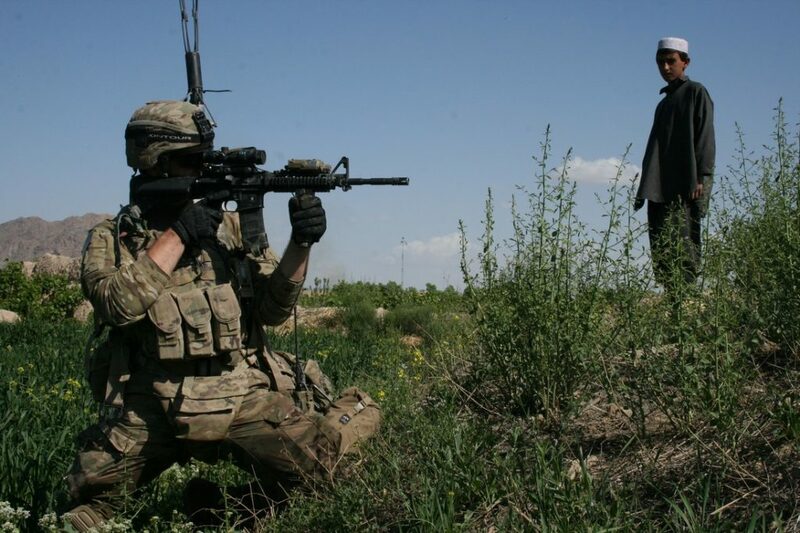 CIA paramilitary officers, reported the Times, will lead Special Forces operatives, both Afghan and American, in expanded counterterrorism operations that, in the past, “have been accused of indiscriminately killing Afghan civilians.” In short, it’s game on in Afghanistan. After 16 years of continuous war in that country, the obvious question is … does this new campaign have any realistic chance of success, no less victory? To answer that, another question must be asked. How has the Taliban managed to expand in recent years despite intensive U.S. operations and a massive air campaign, as well as the endless and endlessly expensive training of Afghan security forces? 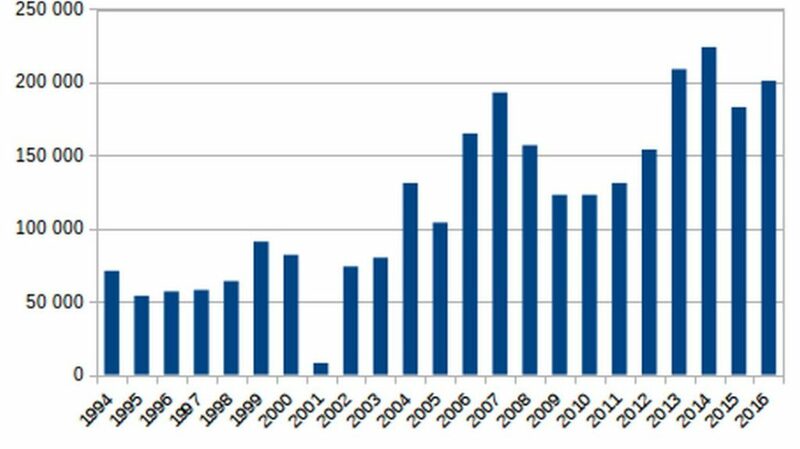 After all, the Afghan war is not only the longest in U.S. history, but also one of the largest, peaking at 101,000 American troops in country during Obama’s surge of 2010 to 2011. Americans have been hearing about the Taliban for so long that most fail to appreciate just how relentless that movement’s growth has been in recent years. In the wake of the 9/11 terror attacks, the Bush White House unleashed a lethal combination of U.S. air power and CIA-funded Afghan warlords to crush the fundamentalist Taliban and capture the Afghan capital, Kabul, with stunning speed. Not only was that Islamist movement and its government defeated, but it lost so many dedicated militants to those devastating air attacks that it was seemingly smashed beyond repair or revival. Nonetheless, within five years, the Taliban was back in force, already fielding 25,000 fighters. By 2015, it was in control of more than half the countryside, had captured district capitals, and was even pounding at the gates of major provincial cities like Kunduz. As with any movement, there are multiple reasons for the Taliban’s success, including the failure of the government in Kabul — a cesspit of corruption — to deliver anything like rural prosperity, the country’s martial tradition of fighting foreign occupiers, and Pakistan’s sub-rosa support, as well as the wide-open sanctuaries in its tribal backlands along the Afghan border. But there is one other factor, more fundamental than all the rest: the opium poppy. The Taliban guerrillas are, like many insurgent armies, largely made up of teenagers who fight, at least in part, for cash to feed their families. Every spring for the past 15 years, as snow melts from mountain slopes across that country, new crops of such teenage recruits emerge from impoverished villages ready to take up arms for the rebel cause. Each of them reportedly makes at least $300 a month, far more than they could possibly hope to earn from the usual agricultural wages. In other words, it takes an estimated $90 million in salaries alone for the Taliban to field its 25,000 strong guerrilla army for a single fighting season. With an overall budget approaching a billion dollars annually, the cost of the insurgency’s 15-year war rings in at something close to $15 billion. The Taliban’s rise has paralleled the relentless growth of Afghanistan’s opium production from a mere 185 tons when the United States invaded in October 2001 to a still-unequalled yield of 8,200 tons in 2008, a harvest that provided an unprecedented 53% of the country’s gross domestic product and 93 percent of the world’s illicit heroin supply. That same year, the United Nations stated that Taliban guerrillas were extracting “from the drug economy resources for arms, logistics, and militia pay.” A study for the U.S. Institute of Peace also found that, in 2009, the Taliban already had 50 heroin labs in its territory and controlled 98 percent of the country’s poppy fields, collecting $425 million in “taxes” levied on the opium traffic. By the time Obama’s 2010 surge segued into an exit strategy four years later, observers were unanimous in their assessment that opium had become central to the Taliban’s survival. Despite a succession of “drug eradication” programs sponsored and funded by Washington, the Pentagon’s Special Inspector for Afghanistan Reconstruction, John Sopko, concluded in 2014 that, “by every conceivable metric, we’ve failed. As 2017 ends, with the White House poised for another four-year plunge into the Afghan abyss, has anything changed that might weaken the Taliban and so spare Washington from a defeat foretold? To answer this question, John Sopko has been armed with a Congressional mandate to probe all forms of failure there and already has five years of experience in this difficult mission. Recently, he drafted a scathing review of Washington’s failed 15-year effort to reduce Afghan opium production and thereby defeat the Taliban. This 150-page draft report, Counternarcotics: Lessons from Afghanistan, 2002-2016, depicts a drug-policy disaster only likely to ensure an ever-increasing income for the Taliban to fight an endless war. When read in tandem with the United Nations’s annual opium surveys, Sopko provides ample evidence that Trump’s decision to double down in that country is almost certainly doomed to failure. 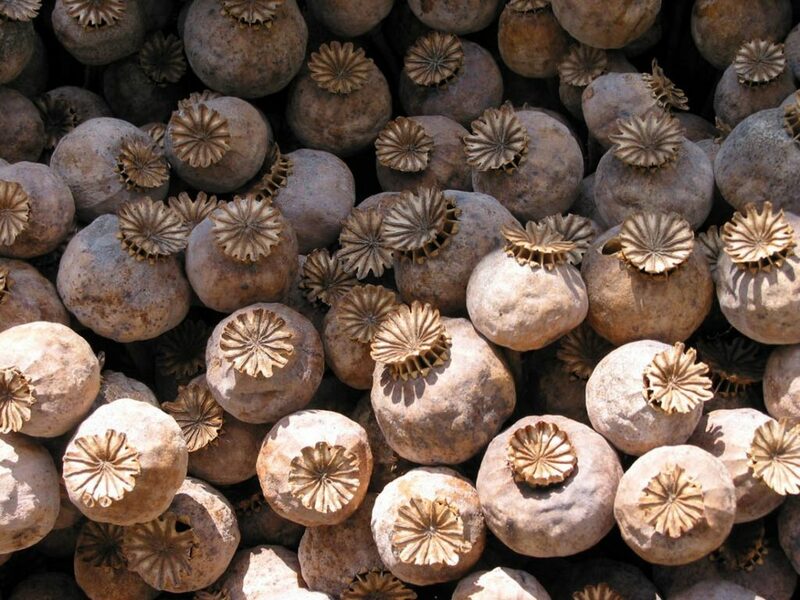 By then, the opium crop represented more than two-thirds of the country’s agricultural output. Meanwhile, 11 percent of the population is now estimated to be using illicit drugs, one of the world’s highest addiction rates. The United Nations’s crop survey for 2016, compiled by hundreds of Afghan enumerators who regularly walked through the poppy fields — and corroborated by sophisticated satellite imagery — adds yet more somber strokes to this picture. That year, at 5,600 tons the opium harvest was again up … by 43 percent. In the same period, opium eradication efforts fell by 91 percent to a mere 355 hectares of the crop destroyed, or less than two percent of all illegal poppy fields in the country. Since the start of its intervention in 2001, Washington and its drug war allies have tried every possible counter-narcotics option. All, without exception, have failed. The bulk of the U.S. budget — $4.3 billion — was allocated to interdiction efforts, but ample funds were left for more experimental approaches, none of which seem to have worked. As much as Washington’s drug policies failed, the U.N. efforts were, in Sopko’s view, even less effective. During the first decade following its 2001 invasion, Washington was obsessed with counterterror operations and so outsourced the drug war to others. It delegated opium suppression to the British and police training for interdiction to the Germans. In this critical period, the U.N. Office of Drugs and Crime maneuvered to fill the leadership void. In what was then seen as a clever political gambit, the United Nations argued, according to Sopko’s report, that “it was necessary to destroy 25 percent of the standing poppy crop each year in order to deter future planting,” in the process justifying the employment of thousands of Afghan peasants to pull up poppy plants. Defending that crop suppression program, Antonio Maria Costa, the Soviet-trained Italian economist who then headed UNODC, declared, according to Sopko, “that there was no relationship between poppy cultivation and poverty.” From his high modernist headquarters in Vienna, Costa pledged “to reduce poppy cultivation by 70 percent in five years and eliminate the crop altogether in 10 years” — a claim that soon proved laughable. Near the start of Washington’s Afghan adventure in 2002, the U.S. military, the CIA and the country’s American-supported president, Hamid Karzai, had little interest in or next to no knowledge of the drug problem. Other actors with far less power — the U.S. embassy in Kabul, the U.S. Drug Enforcement Agency, the World Bank and the European Commission, among others — all made periodic forays into antinarcotics work. Funds for such operations ebbed and flowed, while new initiatives were regularly launched without significant analysis of or thought about past policies. Amid this succession of policy failures, only one program, in Sopko’s view, had a discernible impact on drug production: the launching of a massive occupation of the country’s key southern opium districts by the U.S. military and the Afghans they were training. Checkpoints were set up at almost every road crossing. “In Marjah,” he reports, “located in the opium poppy heartland of Helmand Province, the share of agricultural land dedicated to poppy was almost 60 percent prior to the major influx of U.S. and Afghan forces. By the end of that year, 20,000 leathernecks in 50 fortified bases, backed by 10,000 British troops, had temporarily wrested control of the province from the Taliban guerrillas and checked the opium traffic that had sustained them. Apart from their omnipresent checkpoints, the Marines also introduced the Marjah Accelerated Agricultural Transition program. It offered opium farmers an incentive package of cash, wheelbarrows, shovels, new water pumps, and all-important safe-conduct passes to move securely through this war zone. Despite the Taliban’s “night letters… forbidding locals from interacting with coalition forces,” the Marines were encouraged that more than 1,000 local farmers signed up for the program. By December 2015, after overrunning checkpoints and winning back much of the province, they came close to capturing Marjah itself. 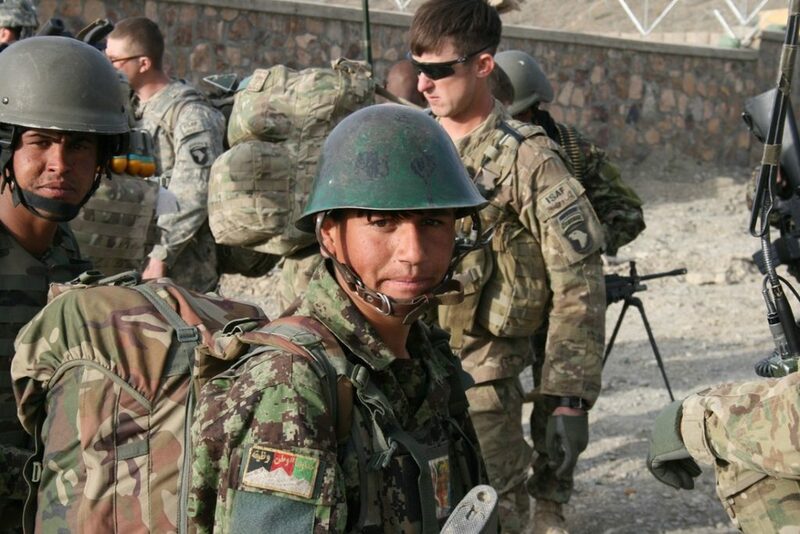 Had American Special Operations forces and airpower not intervened to relieve “demoralized” Afghan troops and police, the town would undoubtedly have fallen. By 2016, Obama was forced to reverse his drawdown and launch a mini-surge of hundreds of new U.S. troops to deny insurgents the economic prize of the world’s most productive poppy fields. Despite support from American air power and 700 Special Operations troops, in February and March 2016 embattled government forces retreated from Musa Qala and Khan Neshin, leaving the Taliban largely in control of 10 of Helmand’s 14 districts. After 3,000 government troops died in that Taliban offensive, the remaining demoralized forces hunkered down inside provincial and district capitals, leaving the countryside and the opium crops that went with it to the heroin-funded guerrillas. In the midst of all that fighting, Helmand’s farmers managed to expand their poppy cultivation to 80,000 hectares by 2016, which represented 40 percent of the entire country’s drug production. Using sophisticated satellite imagery, Sopko’s team, for example, found a troubling disconnect between areas that received development aid from Washington or its allies and those that were subjected to opium eradication programs. In strategic Helmand and Nangarhar provinces, for instance, satellite photographs clearly reveal that the various drug eradication projects ripped through remote areas where “the population was highly dependent on opium poppy for its livelihoods,” rendering poor farmers destitute. The development aid was, however, lavished on more accessible, largely drug-free districts near major cities elsewhere in Afghanistan, leaving countless thousands of farmers in critical rural areas angry at the government and susceptible to Taliban recruitment. Even liberal development alternatives to those rip-up-the-poppies programs, claims Sopko, only served to stimulate opium production in surprising ways. The U.S. Agency for International Development, for instance, spent $36 million on irrigation for a showcase Food Zone project, meant to promote the growing of legal crops in southern Kandahar Province. Corroborating Sopko’s pessimism, a recent report by Mujib Mashal of The New York Times depicted the worsening Afghan drug situation as the product, in part, of Washington’s failed policies. Fueled by a booming opium harvest, the Taliban has recently expanded from poppy growing into large-scale heroin production with an estimated 500 labs refining the drug inside Afghanistan — part of a strategy aimed at capturing a greater share of the $60 billion generated globally by the country’s drug exports. U.S. military commanders now realize that local Taliban bosses, enriched by the heroin boom, have nothing to gain from further peace negotiations, which remain the only way of ending this endless war. Meanwhile, the whole question of opium eradication has, according to Mashal, gotten surprisingly “little attention in the Trump administration’s new strategy for the Afghan war.” It seems that U.S. counter-narcotics officials have come to accept a new reality “with a sense of helplessness” — that the country now supplies 85 percent of the world’s heroin and there’s no end to this in sight. So why has America’s ambitious $9 billion counter-narcotics program fallen into failure again and again? When such illegality corrupts a society as thoroughly as opium has Afghanistan, then drug trafficking comes to distort everything — giving even good programs bad outcomes and undoubtedly twisting Trump’s headstrong plans for victory into certain defeat. Think of the never-ending war in Afghanistan as Washington’s drug of choice of these last 16 years. Alfred McCoy is the Harrington professor of history at the University of Wisconsin-Madison. He is the author of the now-classic book The Politics of Heroin: CIA Complicity in the Global Drug Trade, which probed the conjuncture of illicit narcotics and covert operations over 50 years, and the just-published In the Shadows of the American Century: The Rise and Decline of U.S. Global Power. This story originally appeared at TomDispatch.